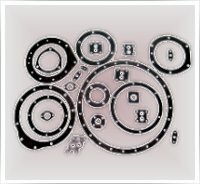 MGM Rubber Company offers a wide range of products starting from Rubber to Metal Bonded Anti Vibration, Mount, Damper, Bump Stop, Spheri Block, Silent Block, Rubber Spring, Buffer, Elastic Articulation, Oil Seal, Water Seal, O Ring, K Ring, Rubber Gasket, Diaphragm, Extruded Window, Windscreen Channel & Profile, Rubber Kit for Air Brake System, Door Actuator, Cylinder Head, Vibration Isolator, Liners, TPU Bushes and many more Rubber and Rubber Metal Bonded Items. Apart from that MGM also offers Thermoplastic Polyurethane and Castable Polyurethane based industrial items. 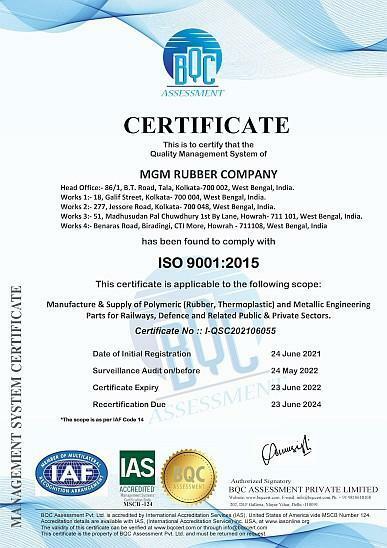 MGM Rubber Company - founded in 1967, as it stands today with all round infrastructural set up, backed up by a most modern rubber & rubber metal bonded product testing laboratory, a state-of-art R&D center and two full fledge production units is one of the fastest growing organization in the field of industrial rubber & rubber metal bonded damper, mount & spring type products in India. Our client list includes Indian Railways, Indian Defense, National Thermal Power Corporations, different Ordinance Factories and various Steel Plants. 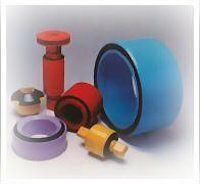 MGM Rubber Company offers complete solutions in the field of rubber engineering & related. With our vast 37 years field experience in different rubber & rubber metal bonded product with the help of our state of art R&D center, we are in a continuous attempt of offering better solution to customers. We understand customers need and hence are committed to offer cost effective product in time. 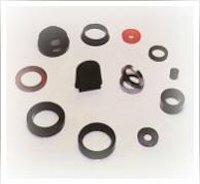 We offer various Rubber, Rubber-Metal Bonded & Plastic products based on NR, SBR, NBR, HNBR, ACM, CR, PU, FE, EPDM, FKM, Silicon, CSM, PBR, TPU, CPU etc. polymers.